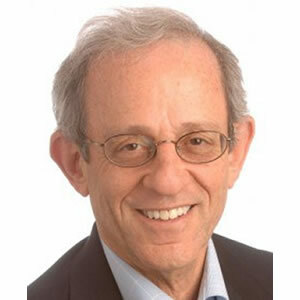 Dr. Daniel Serwer is a professor at the Johns Hopkins University School of Advanced International Studies and director of its Conflict Management Program, as well as a Scholar at the Middle East Institute and was a Senior Fellow at the Center for Transatlantic Relations. Formerly Vice President of the Centers of Innovation at the United States Institute of Peace, he oversaw the Institute’s work in rule of law, religion and peacemaking, sustainable economies, media and conflict, and science, technology and peacebuilding, as well as security sector governance and gender. As USIP Vice President for Peace and Stability Operations, Serwer worked on preventing interethnic and sectarian conflict in Iraq and served as the executive director of the Iraq Study Group. He facilitated dialogue between Serbs and Albanians in the Balkans. He came to USIP as a senior fellow working on Balkan regional security in 1998-1999. Before that, he was a minister-counselor at the Department of State, where he won six performance awards. As State Department director of European and Canadian analysis in 1996-1997, he supervised the analysts who tracked Bosnia and Dayton implementation as well as the deterioration of the security situation in Albania and Kosovo. Serwer served from 1994 to 1996 as U.S. special envoy and coordinator for the Bosnian Federation, mediating between Croats and Muslims and negotiating the first agreement reached at the Dayton peace talks. From 1990 to 1993, he was deputy chief of mission and chargé d’affaires at the U.S. Embassy in Rome, where he led a major diplomatic mission through the end of the Cold War and the first Gulf War.